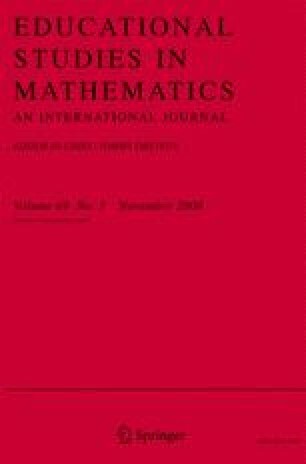 This paper examines a Special Issue of Educational Studies in Mathematics comprising research reports centred on Peircian semiotics in mathematics education, written by some of the major authors in the area. The paper is targeted at inspecting how subjectivity is understood, or implied, in those reports. It seeks to delineate how the conceptions of subjectivity suggested are defined as a result of their being a function of the domain within which the authors reflexively situate themselves. The paper first considers how such understandings shape concepts of mathematics, students and teachers. It then explores how the research domain is understood by the authors as suggested through their implied positioning in relation to teachers, teacher educators, researchers and other potential readers. Brown, T. (2008a). Lacan, subjectivity and the task of mathematics education research. Educational Studies in Mathematics DOI 10.1007/s10649-007-9111-3.